Our best days are ahead. Wanika is proud to represent the residents of District 47B. 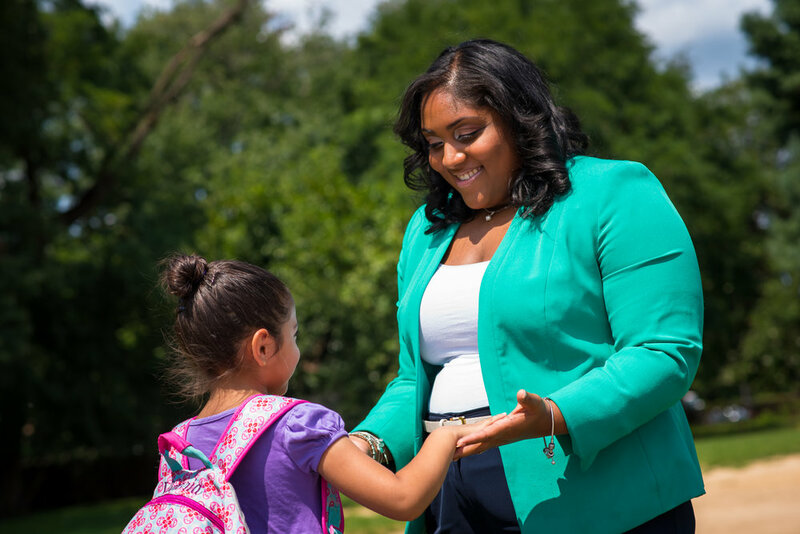 A proud daughter of immigrant parents, Wanika’s interest in politics began at an early age when she distributed petitions to build sidewalks in her neighborhood so kids could walk to school. That spirit of public service has never left her. As a graduate of the University of Maryland, Wanika has served Prince George’s County as a lawyer and community advocate. As a staffer on the County Council, Wanika helped protect senior citizens’ leases and ban coal tar from Prince George’s County. While working for State Senator Ramirez, Wanika worked on the Justice Reinvestment Act and the Trust Act, helping reform the criminal justice system and protect immigrants. As an Assistant State’s Attorney, she spent each day targeting serious crimes while providing nonviolent offenders with paths to rehabilitation. At every turn, Wanika has made our community a better place to live. Outside of work, Wanika is extremely involved in her local community. As member of Young Democrats of Prince George's County, she helped to organize Democrats during the 2016 election cycle. She serves on the University of Maryland College Park Alumni Association’s Board of Governors and the Alumni Council for the Penn State Alumni Association. She is a member of the 2017 Emerge Maryland Class, the 2017 Planned Parenthood Developing Leaders Program, and the Alpha Kappa Alpha Sorority’s Iota Gamma Omega Chapter in Prince George’s County. Wanika is active in her congregation at Redeemer Lutheran Church in Hyattsville and a major fan of Maryland Terps football and basketball. Delegate Fisher’s team is excited to serve the residents of District 47B. Star and Delegate Fisher first met at an annual Rawlings Fellow Homecoming Alumni event at UMD in 2014. She is a Prince George’s County native who graduated from the University of Maryland, College Park in 2016 with a B.A. in Government and Politics. She has a Masters in Public Administration from the Joseph R. Biden Jr. School of Public Policy in Newark, Delaware and is excited to be returning home to serve constituents in Prince George’s County. Christine is a recent University of Maryland, College Park graduate with a B.A. in Government and Politics and a minor in Sustainability Studies. She first met Delegate Fisher in 2017, and became very familiar with District 47B while volunteering on the delegate’s campaign. She is interested in environmental justice, women’s rights, and public health. Santiago is a senior at the University of Maryland pursuing a B.A. in Government and Politics with a minor in International Development and Conflict Management. As a Bolivian immigrant, he has a specific interest in the Latin American community demonstrated through his involvement with CASA de Maryland and his certificate completion of Latin American studies. He is excited to work with Delegate Fisher representing the largest Latinx population in the state of Maryland. Jasmine Melak is a sophomore, Public Policy and Women's Studies double major at the University of Maryland. She is a part of the Rawlings Leadership Fellows Program, the undergraduate representative for the College of Arts and Humanities Collegiate Council, and a part of the Ethiopian and Eritrean Student Association. After graduation, she hopes to attend law school to become a civil rights lawyer. Her passions lie in providing equitable lives for all, no matter one's race, ethnicity, gender, economic status or sexual orientation. Marlin has served in the Army National Guard for over 19 years and earned the Bronze Star Medal for combat service in Operation Iraqi Freedom. He currently serves as a Major in the Maryland Army National Guard. In his work at American Federation of Government Employees (AFGE), he supervises negotiations on behalf of federal employees to ensure their working conditions are ideal. He is excited to work as a community liaison and assist the citizens of District 47. 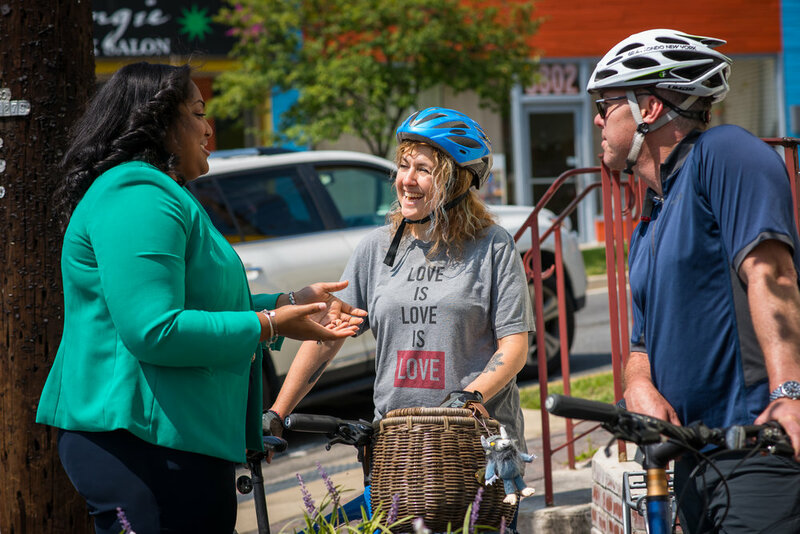 Wanika knows the key to strong neighborhoods is strong constituent service. That means addressing problems as small as potholes and as big as public safety as soon as they occur. Wanika understands that education is the path to opportunity. 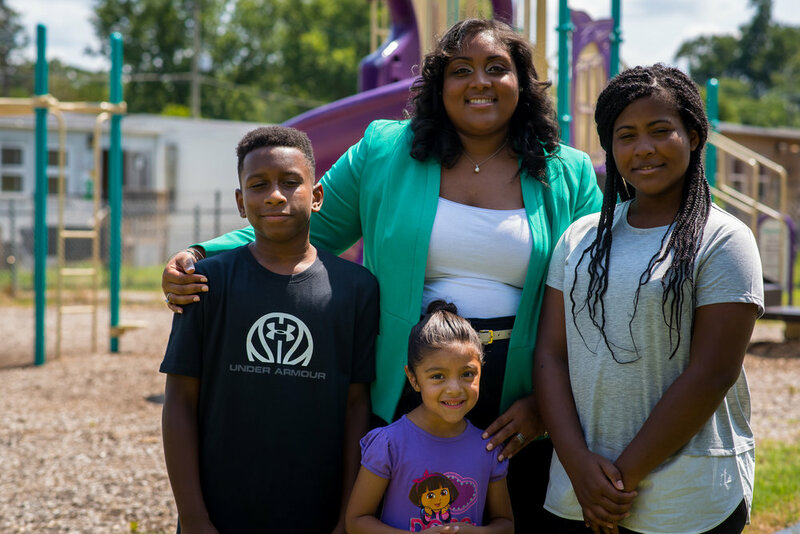 She’ll fight for fair school funding, and classroom experiences that connect with college or apprenticeship training, so our children grow up to earn family supporting wages. Whether senior citizens who have served our communities for a lifetime, or children who are just starting on that path, everyone deserves a feeling of security. That means defending access to quality affordable housing, good public transportation, and safe streets without fear of crime. Register to Vote online or mail in your registration. Click here to register online and for more information. FIND YOUR SAMPLE BALLOT, VOTER REGISTRATION RECORD, AND MORE INFORMATION HERE! Find your elected official click here! Contact your county council member here! To read online click here! July 05, 2018 The first battle of the #SecondCivilWar is Nov. 6. Female voters must be a force. Click Here for access to the delegate scholarship!